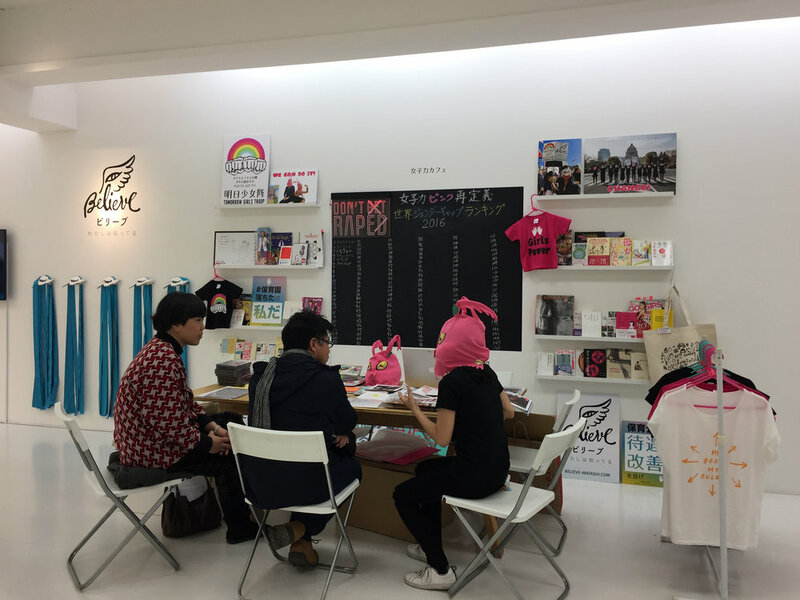 This project aimed to 1) introduce feminist activities in Japan to young people, and 2) give them books on gender studies. We collected books on feminism and gave them to young audience with one condition - pass the books to next person after you finish reading them. 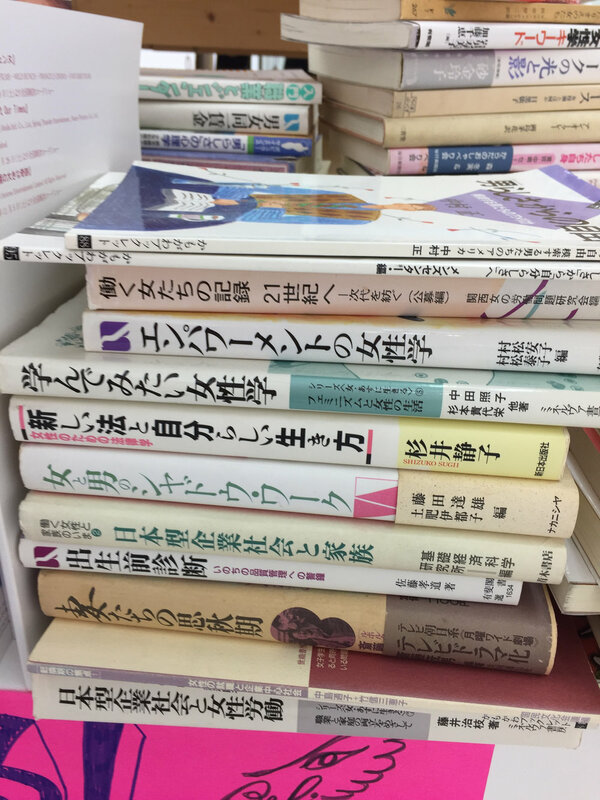 In Japan, gender studies or feminist studies are not compulsory at school. 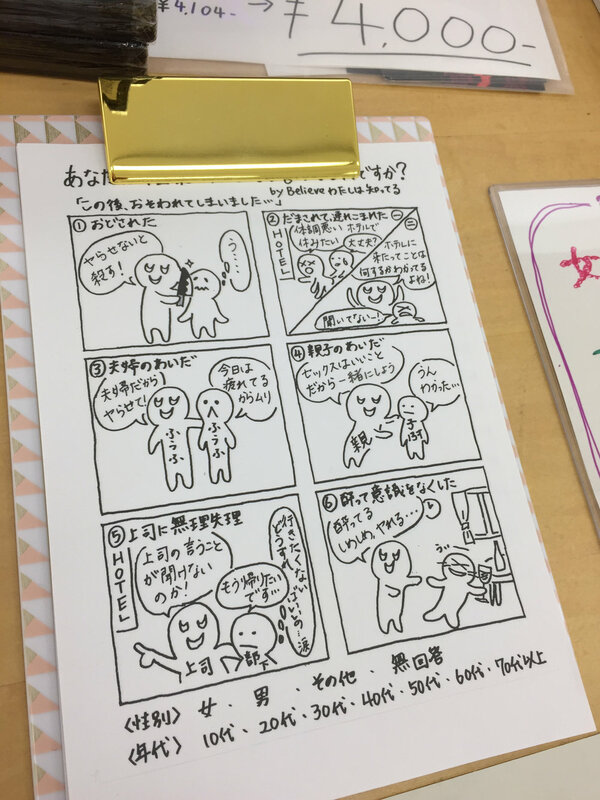 Often there isn’t a chance to study feminism in Japanese art colleges. We believe that the fact that the country has been filled with sexism imagery in public is related to the lack of gender education. That is why we decided to ask feminists all over Japan to donate books on gender studies and/or feminism. We are very grateful that more than 100 books have been donated. 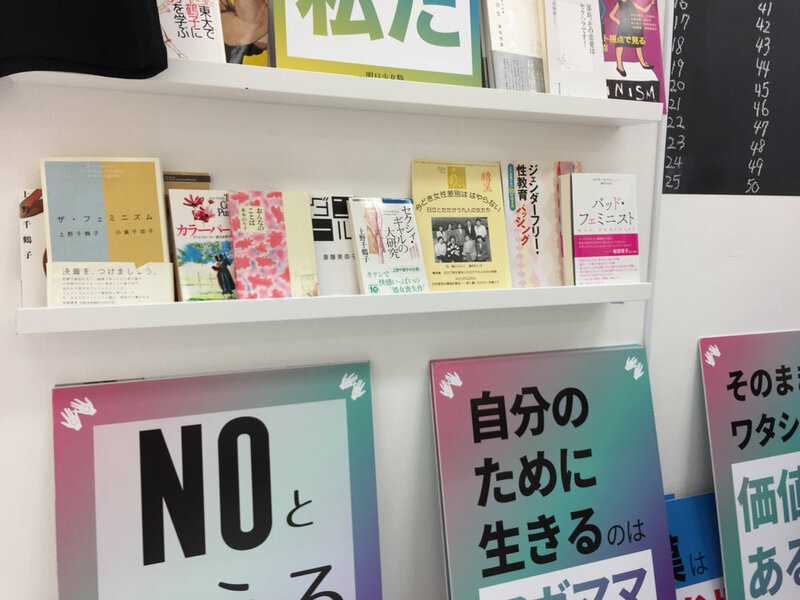 At the exhibition, the audience could take the books with them for free. We asked them to pass the books to their friends or family who may be interested in the theme. 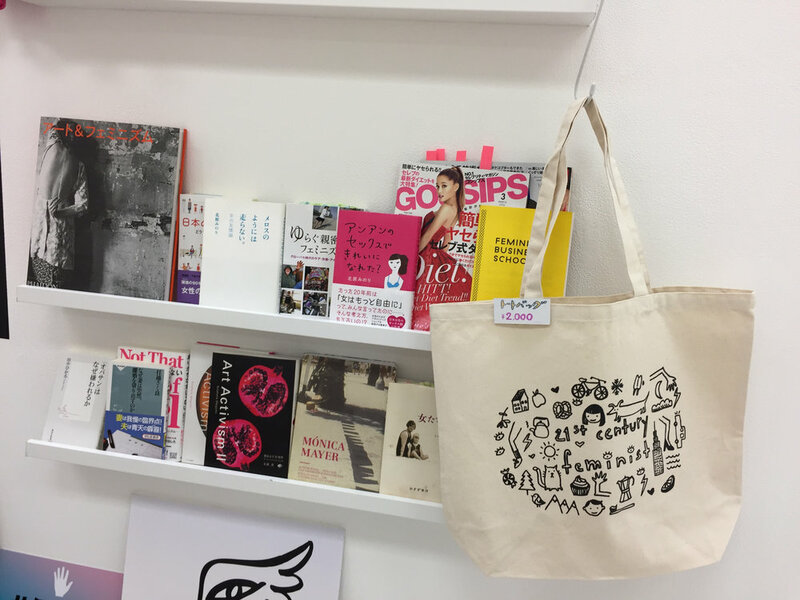 We also attached a note to each book to introduce the donors feminist activities. We hope these books circulate from person to person, forever.